You have known for a while now that you are outgrowing your office space. You have added staff so that people are crowded together, and the storage space you have is now maxed out. The time is right for you to move to a new location so that you can have the space and comfort you need and operate your business professionally. Tackling an office move can be trickier than moving your home, and you need experienced help on your side to make sure the move goes smoothly. If you need to hire office movers in Orange County, calling us at Flash Moving is the Right move for you to make. Trying to take care of your office equipment yourself can be a poor decision to make. You may have delicate and fragile electronics, office equipment, machinery, lab equipment or other items that need to be packed and moved with great care. A mistake in moving or loading items can lead you to lose equipment, and it can potentially be a setback for your business. Our expert movers at Flash Moving have handled many commercial moves and are aware of just how to pack and move all your fragile inventory, so it arrives safely at your new location. As reliable office movers in Orange County, we at Flash Moving will take care of every aspect of your office move. We can make sure to do a walk-through with you, so we know about things like cubicle walls, mounted televisions and equipment, specialty office equipment, conference room furniture and more. We then develop a moving plan based on your needs so that we can tackle your move efficiently and quickly. 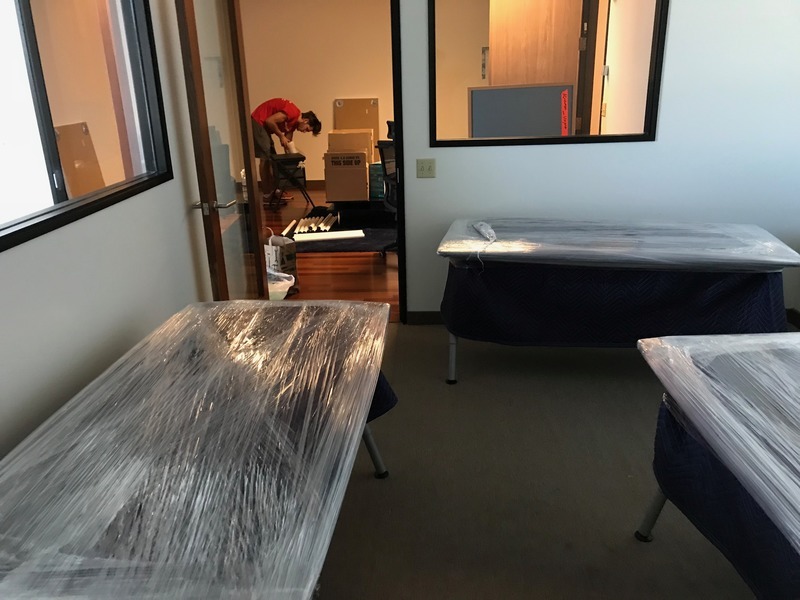 With the help of our office movers in Orange County at Flash Moving, you can have a smooth transition to your new location and be up and running again in no time at all. To find out more about our commercial moving experience and capabilities, contact us by calling (888) 660-4351. You can also send us a message using our online contact form or get in touch by sending an email to info@flash-moving.com. We will get back to you and discuss your needs, provide you with a free quote for your move, and start working on a plan to make moving day effective for you.